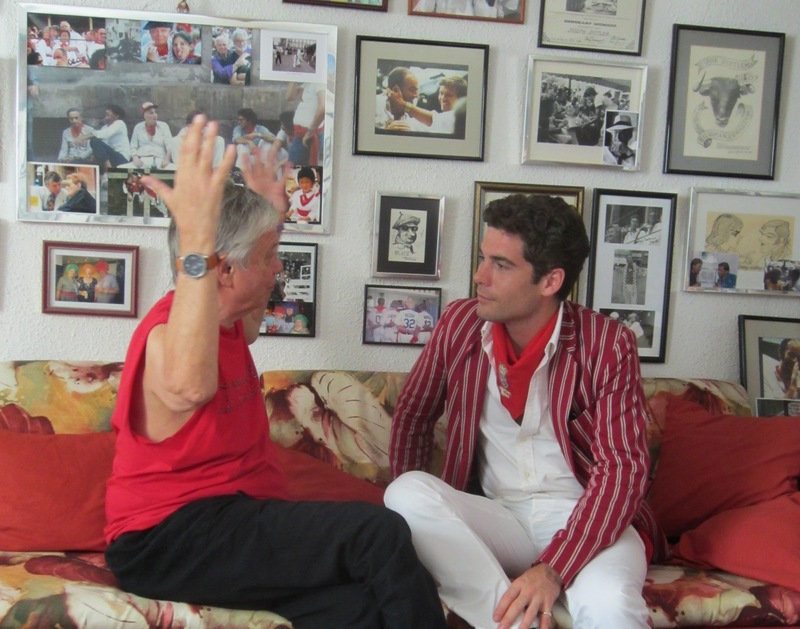 Joe Distler, known as the “Iron Man” of Pamplona, has run every Pamplona bull-run for 44 years and been the subject of countless articles and documentaries. 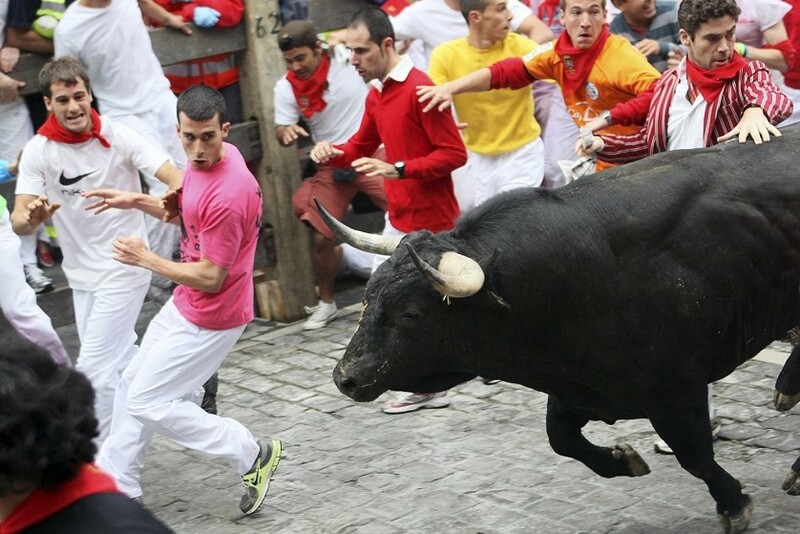 He is without doubt, question or challenge the greatest American runner of the bulls. 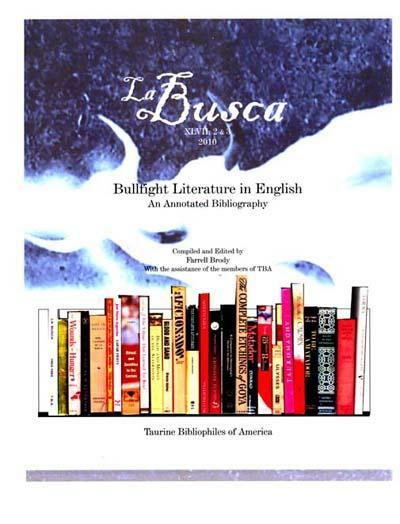 The latest issue of La Busca, the journal of the association “Taurine Bibliophiles of America” contains this review he wrote of Into The Arena: The World of the Spanish Bullfight by Alexander Fiske-Harrison. In 1967, in the Strand Bookstore in Manhattan, I walked down the wrong isle heading for the fiction section and that brief misstep would change my life forever. There, lying in wait, was a copy of Robert Daley’s book, The Swords of Spain. 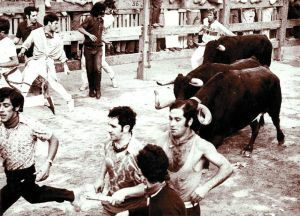 Since Spain was always a place I had desired to visit, I picked up the book and the very first page I turned to had photographs of men running in front of Bulls. I was enraptured. 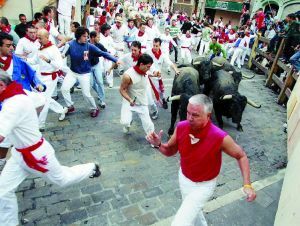 Reading Hemingway had never really interested me in Pamplona’s “encierro” but Daley’s book completely freaked me out. It was, being a used copy, the best five dollar investment I have ever made! 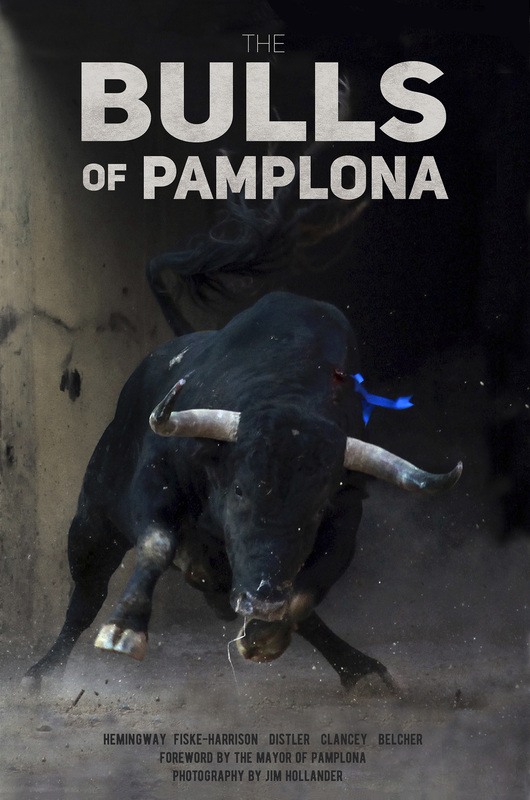 Not only did it convince me I must go to Pamplona immediately, it led to my friendships with Matt Carney, John Fulton, Muriel Feiner, Barnaby Conrad, Bill Lyon and a host of other fabulous characters who would go on to fill my life with wonder and joy. Every year, before going to Spain, I still go back to Daley. The book is as fresh today as it was when I first read it standing in the stacks so many years ago. His vignette ‘Spanish Springtime’ still brings tears to my eyes and I wonder what magic made me find such a book? Over the years, like so many aficionados, I have amassed a large library of taurine books but none ever affected me the way The Swords of Spain did. Not, at least, until recently. 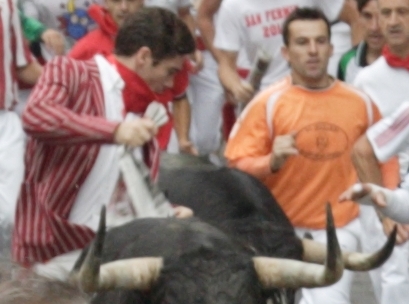 This past summer during the Feria of San Fermin (my 44th), I came to meet a young kid from the UK who was full of, as the great Matt Carney would put it, “fight and fury”. 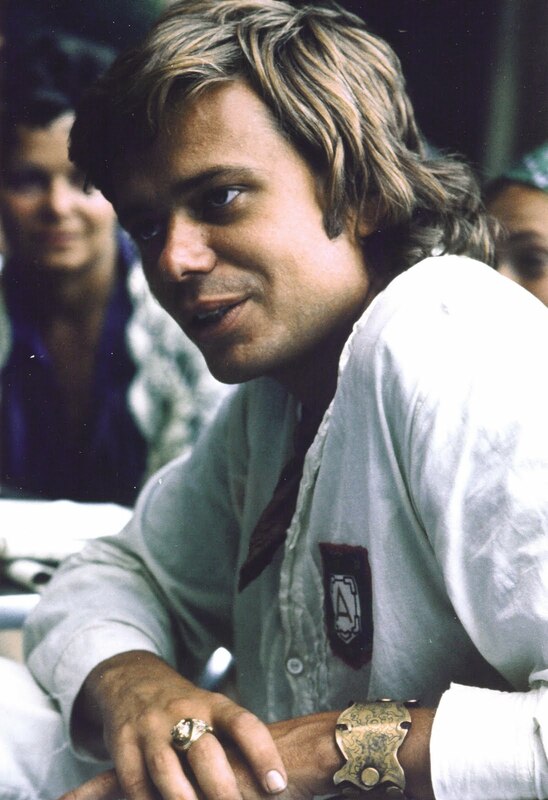 He came to my table decked out in a red and white striped blazer torn up the middle and gallantly exclaimed it was torn by a Bull that very morn. 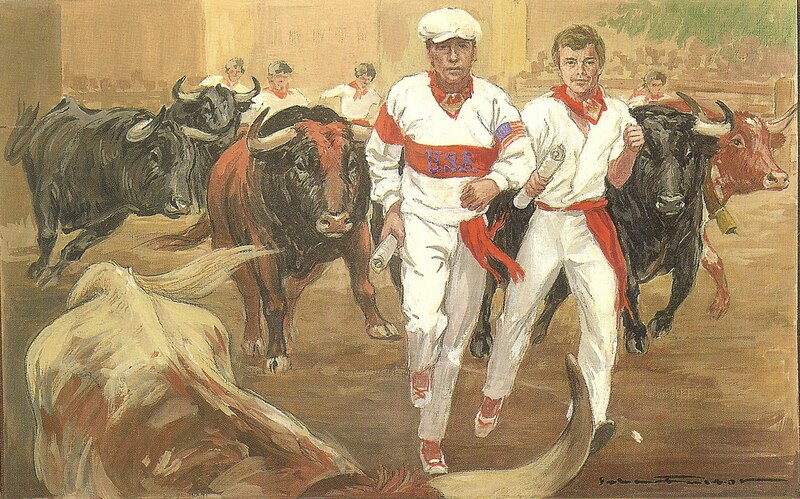 Well, only Charles Patrick Scanlan, Warren Parker and I wear such jackets during Feria and I know a little something about running Bulls, so I waited and was regaled with his recent encounter with los toros. His enthusiasm was such that I was taken aback. Rarely, in all the years of running, had I met someone so taken with what has become one of the great passions of my own life. Over the week that followed we became fast friends and shared stories of books and faraway places and , most of all, Bulls. It was then that I learned he had written a book about Spain. I ordered two copies sight unseen. Alexander comes to Spain, meets several young toreros including Juan José Padilla and Cayetano, and Eduardo Dávila Miura, befriends them and they help him on his Quixote-like quest to fight a Bull. The story is riviting as one feels every failure, every success, every thrill as he heads toward a confrontation with a three-year-old toro bravo. 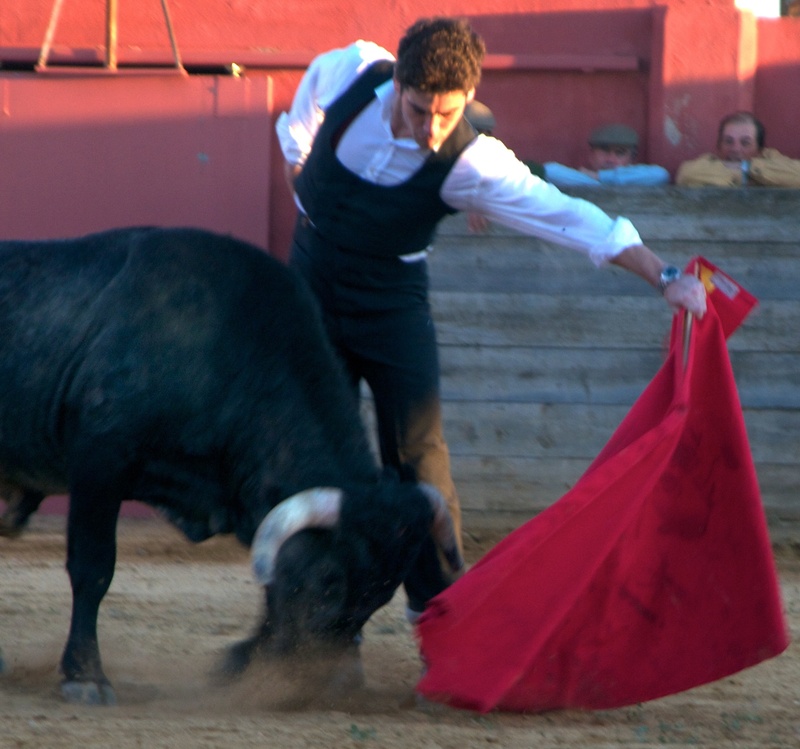 But the book is so much more; like The Swords of Spain, it brings you into the world of the Bulls in such an intimate way you feel you must book a ticket on the next plane to Spain. I am not a traditional book reviewer and this is a rare outing for me in this genre so forgive a rather hackneyed presentation of a book that deserves so much more. When my wife, Nancy, arrived at our house on the Med for her summer vacation, I had a stack of books, as I always do, piled high for her summer reads. She chanced upon Alexander’s and, like me, read it cover to cover. “This kid has really got it,” she said. 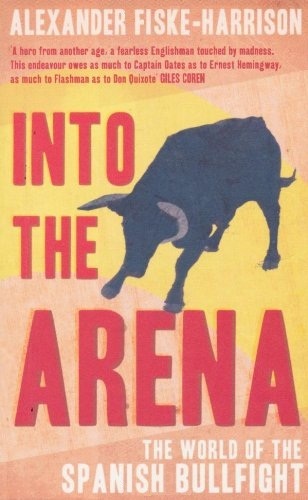 He sure has and I advise any and all aficionados to get a copy of Into The Arena as quickly as you can, open a bottle of Rioja, sit back and traverse with pleasure the world we so love. 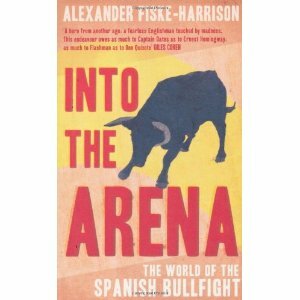 Into the Arena: The World of the Spanish Bullfight by Alexander Fiske-Harrison. This entry was posted in Uncategorized and tagged alexander, Barnaby Conrad, bibliophiles, Bill Lyon, book review, books, british, bull-run, bull-running, bullfight, bullfighter, bullfighting, bullrun, bullrunning, Cayetano, Charles Patrick Scanlan, davila miura, english, feria, fiesta, fiske-harrison, hemingway, into the arena, jo distler, joe distler, john fulton, jose distler, joseph distler, juan jose padilla, la busca, los toros, Luis Miguel Dominguin, matador, matt carney, miura, Muriel Feiner, Ordóñez, padilla, pamplona, Rivera, Robert Daley, san fermin, Sinatra, spain, Spanish Springtime, sun also rises, Swords of Spain, taurine bibliophiles of america, the bulls, Warren Parker, world of the spanish, xander. Bookmark the permalink. Merry Christmas Joe. See you in July.